Residents are being warned to be careful of phone scams over the Christmas period. 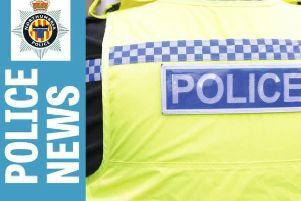 Police have issued the warning that fraudsters may contact people claiming they have won a cash prize, or a holiday but asking for sums of money to be sent before the non-existent “prize” could be released. Other scams include fraudsters pretending to be bank officials or police officers, targeting people over the phone and trying to con them out of their life savings. A recent scam involved offenders purporting to be police officers from the London area stating they have people in police custody for fraud and asking questions about the victim’s bank account details. Police advice is always to ignore calls or letters of this nature. • Be aware that fraudsters often use techniques to hold your phone line open, so that when you try to dial out to verify the caller, they intercept and re-answer the call, claiming to be the bank or law enforcement. • To ensure that your phone has not been compromised, we recommend using a different phone line to verify the caller. Where a second phone line is not available, try calling a family or friend on the line first, as the fraudster will find it difficult to impersonate a voice that is known to you. • Never disclose your PIN or online / telephone banking log-in information or card reader codes to anyone, even if the caller claims to be from the bank or police. Remember, banks NEVER call and ask you to disclose these security details. • If you receive a call requesting your PIN, card details or online / telephone banking log-in information, end the call immediately. • If you receive a suspicious or unexpected call, always verify the caller by taking their phone number and getting it checked independently. • Ensure elderly relatives and neighbours are aware of the fraud and crime prevention advice. Detective Chief Inspector John Bent said: “Police advice is that if a deal seems too good to be true then it usually is. “Never agree to hand over cash or card details to anyone who cold calls asking for money to be handed over in order to release an amount of cash. Report any suspicious phone calls to police straight away on 101.